Maintenance Programs – C&P Fleet Services – Northern Virginia's fleet management specialists! Let our team of professionals manage your fleet for you. Increase uptime & Decrease Expense. With a custom fleet maintenance program from C&P Fleet Services, we eliminate unnecessary labor costs and management expense from your budget, all while increasing fleet uptime. How do we do this? 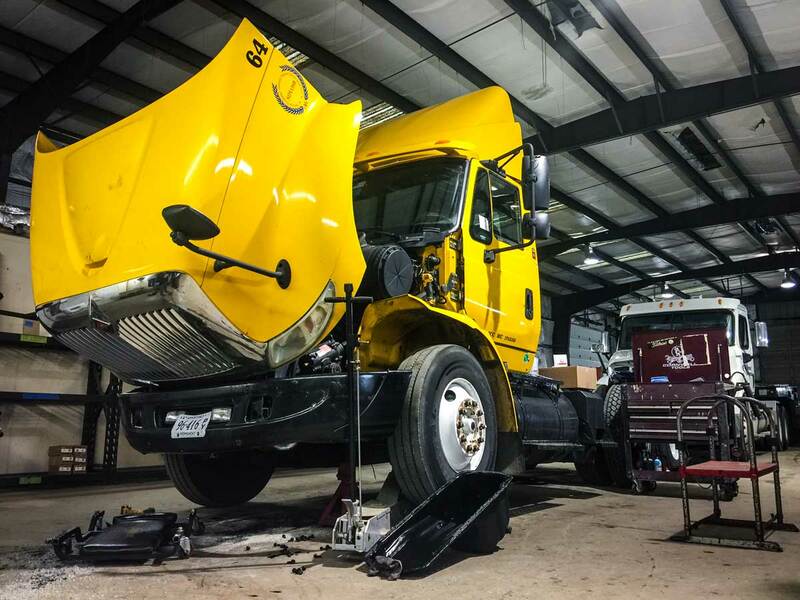 Our fleet managers create company specific solutions to handle all the maintenance needs for your fleet of vehicles, ranging from preventative services to pre-trip yard write-ups. We are ideal for fleets looking to develop a maintenance program and enhance or outsource their maintenance program. Ready to see how we can help manage your fleet? Contact us today, and let our team create solutions for your business!